Zucchini squash is easy to grow but its large leaves can quickly take up space in the garden and prevent fruits from receiving adequate sunlight. Although it’s not required, pruning zucchini can help alleviate any overcrowding or shading issues. In addition, pruning can help stimulate additional zucchini growth. If you are asking how or when do I cut off zucchini leaves, this article will provide the information you need. Let’s look at how to prune zucchini squash. Zucchini plants are prolific producers when given the right care. Although zucchini can grow in nearly any soil type, it does rely on well-drained soil along with plenty of sunlight to produce adequate fruit. Zucchini plant leaves grow so large that they can often shade the plant itself and reduce sunlight to itself or surrounding plants. This is why cutting leaves to give zucchini more sunlight may be required. In addition, pruning zucchini allows more energy to reach the fruits rather than the majority of zucchini plant leaves. Pruning zucchini plant leaves can also improve air circulation and help to prevent the powdery mildew that zucchini is susceptible to. When Do I Cut Off Zucchini Leaves? Once zucchini plants have begun to set fruit, between four and six fruits on vine, you can begin pruning zucchini. 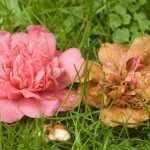 Start by nipping out the tips and continue pruning plants as needed throughout the growing season. Be careful not to prune too close to the developing fruits. When pruning zucchini plant leaves, take care not to remove all the leaves. Keep some leaves on the stem, including leaf nodes near the last fruit you want to keep. 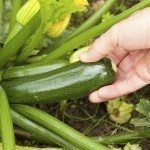 When cutting leaves to give zucchini more sun, just cut the bigger ones, and make the cuts close to the base of the plant, leaving all others. You can also cut off any dead or brown leaves that may be present. Do not cut any stems, as this will increase the risk for disease.